Weddle Auto Body is a family owned business in Whittier, California. 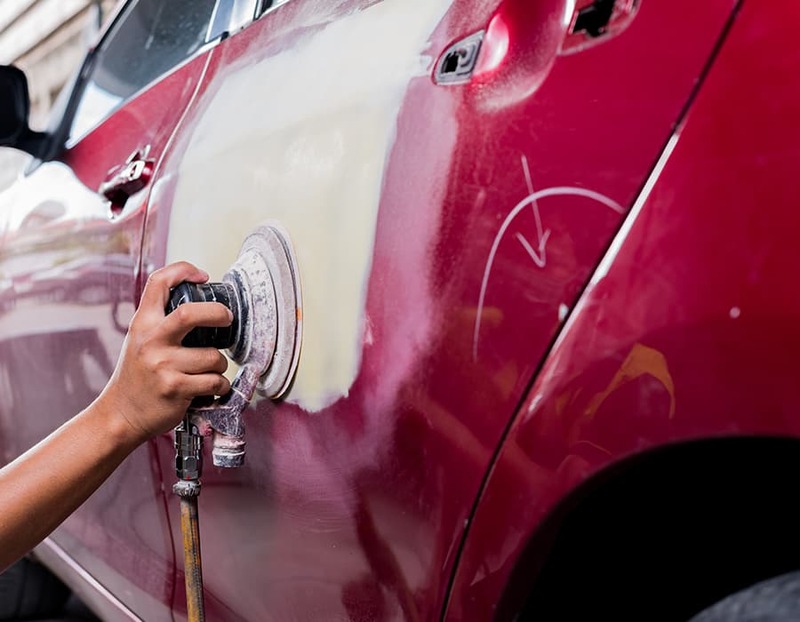 Our services include collision repair, custom paint, frame straightening and antique & classic restoration. 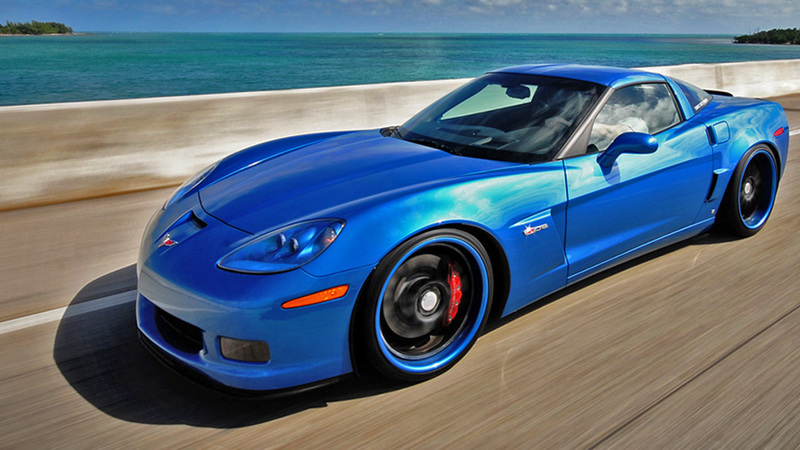 We are luxury and sports car specialists of all makes and models. We have highly skilled body technicians who are I-CAR trained and ASE Certified (National Institute for Automotive Service Excellence). Our body technicians are trained to straighten frames back to factory specifications. We do work for all insurance companies and we are on the Auto Club Members Preferred Repairs Program. For transportation while your car is being repaired, we recommend Enterprise Rent-a-Car for their efficient and convenient service. Enterprise picks you up right from our shop and brings you back when your car is done. I had a custom touch up paint job needed and Weddle auto body took it on. The price was fair and turnaround was quick considering I dropped it off with the Xmas and new year's holidays coming. I am very satisfied with the quality and friendliness of the staff. I will definitely return. Weddle Auto Body... Fantastic prompt work on my 4Runner that had been broken into by a bear in the San Bernadino Mountain Community of Forest Falls. Very pleasent folks! Thanks for the quick work. I have now used Weddle twice and would recommend Perry's shop highly to anyone. I needed work done on a Tiguan I had purchased to sell. It had minor dent and paint damage on front and rear bumpers. I went to several shops for quotes. Not aware of Weddle, I discovered the shop here on Yelp. I saw the good reviews and gave them a shot. He matched the lowest priced quote I'd received (which was less than half a high profile shop nearby). The work was pristine. Perfect. Looked absolutely as good as new. I went back a 2nd time for some rear hatch damage and front fender damage on my van. I had a limited amount of funds to work with. Perry met my budget and the crew did great work. 2 thumbs up, since that's all I've got. Extremely nice people all the way around. Walked right in 2 days ago, they asked me what I needed, Perry assisted me in looking up the part which was needed to fix my window. He called for the part, ordered it that day and instructed me to come back the next day and he'd have it done for me before they closed. Kept his word and my window is great now! They even cleaned off some residue from tape I had used on my window to initially hold it up.... I could NOT get this residue off. It was perfectly cleaned upon arriving to pick up my car. I will be back for anything I might need, thanks again for being so polite and honest. Definitely recommended. Weddle Auto Body is excellent. I am a student and my car was hit right at the beginning of finals week. I was incredibly stressed with the work I had to do and now the damages I had to deal with, not to mention the insurance companies I had to call. The owner at Weddle is the kindest man I have ever met. He kept me updated as needed and even gave me tips on how to handle the insurance company of the man who hit my car. Bring your business here! Great service and was attentive to my requests. I took a 1978 Ford Truck to get some work done and he did a great job and was fair on pricing. Due to lack of funds and needing mechanical work done before body work, I did not get too much work done but since I am restoring the truck, I will definitely be going back. I've known for years that Weddles was the place to take your car if you want a flawless paint job. Ive never used them because I assumed that they would be expensive, so I usually go where my insurance sends me. I did some shopping around this time since I was not going through my insurance and found Weddles to be very reasonable, honest, and of course Im very pleased with the work. I was very impressed when I took my car here a few years ago so I decided to try them again. They have excellent service and reasonable prices. I needed a minor repair done so I went in for an estimate. Perry let me know exactly how much it would cost and how long it would take. He had the part ordered, delivered, and my vehicle repaired within 30 minutes while I waited. I was so elated to have my car fixed so quickly. I will definitely return here if I have any body work done!!! Went to Weddle Auto body to have my 2002 Silverado repainted. It was in an accident two years ago and parked on the side of my house to rot. Drove around to a few local body shops and opted to go with Weddle. Looks great, the crew there erased the accident and I got my good looking truck back. These guys are great. Over the last 9 years, I've taken my car here 5-6 times. They always have done a great job and are very friendly. I recently took my car to a place in Long Beach because Geico was pushing for me to take it there and I didn't think it would be a very big job. I was soooo disappointed that I didn't take it to Weddle. It was definitely not as good a job as Weddle would have done. I just got hit by someone (again!) and I'm taking it to Weddle this time. Great body shop on the AAA recommended list as well. I was extremely happy with the work they did. Got it done fast, very reasonable prices and very nice work. They even had the car washed and vacuumed when I arrived! I've used this Auto Body repair shop multiple times and have always had great customer service as well as great work done on my car.